Aaron Skonnard is the CEO of Pluralsight, a fast-growing enterprise technology skills platform. Aaron cofounded Pluralsight in 2004 and has since grown the company to more than 600 employees and 1,500 expert authors. As CEO, Aaron focuses on business strategy, future direction, product development and strategic partnerships. On a day-to-day basis, he works closely with the entire executive team in different capacities, including recruiting, brand management, marketing, sales, feature planning and content acquisition. Arne Duncan is currently a Managing Partner at the Emerson Collective, a non-profit organization founded by Laurene Powell Jobs focused on improving the quality of public education, advancing immigration reform, and supporting and scaling social innovation. Having served as the U.S. Secretary of Education from 2009 to 2016, Duncan is one of the most notable and highly-regarded thought leaders of twenty-first century education. One of the longest-serving education secretaries and arguably the most influential, he guided a rapid expansion of the federal role in the nation’s 100,000 public schools and saw 40 states adopt key policies. Aligning with Pluralsight’s mission to democratize professional learning for all, Duncan championed significant education causes to equalize learning opportunities while a member of President Obama’s Cabinet, including Race to the Top, Investing in Innovation, and the American Re covery and Reinvestment Act that preserved 350,000 teachings jobs through $100 billion in stimulus funds. Pluralsight is the first board that Duncan has been appointed to since leaving office in early 2016. Bonita C. Stewart Vice President, Global Partnerships, Google, Inc.
Bonita C. Stewart brings extensive consumer technology and operational experience to the Pluralsight board, as her career spans over two decades of digital transformation across multiple industries. Since joining Google in 2006, she has driven adoption of digital technologies within the C-suite in the U.S. and globally. Currently, she oversees the company’s Global Partnerships team for the largest U.S. publishers across Search, Mobile Apps, Commerce, News, Broadcast, Telecommunications and Domains. Prior to Google, Stewart had an extensive automotive career, where she led Chrysler Group Interactive Communications for DaimlerChrysler AG, Dodge Passenger Cars and Minivans brand management and Chrysler Brand Advertising. Stewart spent more than a decade in management at IBM working on software/hardware pricing, sales and PC product marketing. As an entrepreneur, she served as president, COO and co-founder for Nia Enterprises, as well as the founder and CEO for One Moment in Time, a formal wear rental company for women. Brad Rencher, Adobe’s executive vice president and general manager of digital marketing, manages Adobe’s digital marketing business, which accounts for more than $1.5 billion of the company’s operations. Adobe is one of the largest and most successful SaaS organizations in the world, and continues to be one of the fastest growing businesses in the software market. Rencher led business operations at Omniture before its $1.8 billion acquisition by Adobe in 2009, and helped guide the companies through the transition. He is an industry pioneer with strong creative and strategic skills that will benefit Pluralsight as it solidifies itself as a SaaS leader. Fritz Onion is a co-founder of Pluralsight, a fast-growing enterprise technology skills platform, where he served as chief content officer from 2008 to 2014. He is the author of the book 'Essential ASP.NET' published by Addison Wesley, available in both C# and Visual Basic .NET editions, and 'Essential ASP.NET 2.0'. Onion has written several courses and many articles on C++, MFC, COM, and ATL, and was recognized by Microsoft as an MVP for more than 5 years for his contributions to the ASP.NET community. Onion is actively involved in philanthropic initiatives in his home state of Maine. In 2014, he founded the Onion Foundation, a grant-making organization that encourages environmental conservation and promotes music and the arts. He also serves on the boards of Maine Audubon and the Maine Bicycle Coalition. Gary Crittenden is a private investor as well as executive director of HGGC, a leading middle-market private equity firm in Palo Alto, California. Previously at HGGC, he served as Chairman, CEO and managing partner. Prior to joining HGGC, Crittenden was the chief financial officer at several large companies, culminating with his role as CFO of Citigroup during the financial crisis from 2007 to 2009. During his time at Citigroup, Crittenden reduced costs, sold or exited unproductive assets and raised nearly $100 billion in equity. From 2000 to 2007, Crittenden was the CFO of the American Express Company, where he architected the spin-off of Ameriprise and where he was named one of the best CFOs in America on three separate occasions. 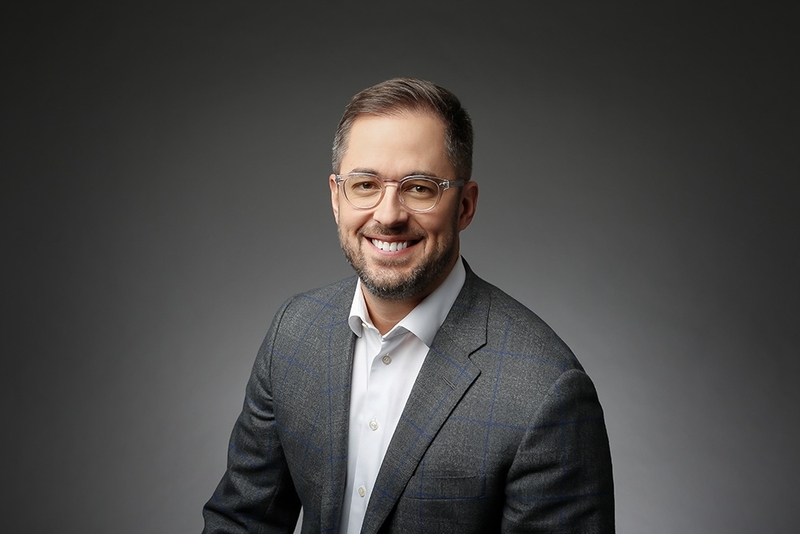 His keen focus on value creation and its relationship to building a sustainable business strategy will be valuable to Pluralsight as the company continues to grow its global presence. Gary serves as Pluralsight’s Lead Independent Director. Karenann Terrell is a highly respected technology leader with nearly two decades of experience. She currently serves as chief ddigital and technology officer at GSK, a global healthcare company that develops pharmaceuticals, vaccines and consumer health products. Karenann is responsible for GSK’s digital, data and analytics strategy, working with a wide range of partners, both inside and outside the healthcare industry. Prior to GSK, she served as chief information officer for Walmart, Baxter International and the Daimler Chrysler Corporation. Leah Johnson is an experienced communications strategist and the founder and CEO of LCJ Solutions, a communications firm partnering with top-tier brands such as, Conoco Phillips, The Guardian Life Insurance Company of America, Ally Bank, New York Public Radio and many others. She has led teams and advised Fortune 250 CEOs, non-profits and high-level political campaigns on how to define and promote brand value while navigating complex, challenging environments. Before founding LCJ Solutions, Johnson was the Senior Vice President of Corporate Affairs at Citigroup Inc. where she served as the chief communications advisor to the CEO and applied messaging and problem-solving skills to high-visibility challenges. Scott Dorsey is an accomplished leader who has earned numerous accolades, including Ernst & Young Entrepreneur of the Year, American Business Awards Executive of the Year, TechPoint Trailblazer in Technology and many more. He currently serves as managing partner of High Alpha, a leading venture studio that launches, scales and invests in enterprise cloud companies. Before High Alpha, Scott co-founded and served as CEO and chairman of ExactTarget, where he led the company through an IPO prior to its acquisition by Salesforce. Through the acquisition, Scott joined the Salesforce executive leadership team and led the Salesforce ExactTarget Marketing Cloud. Tim Maudlin is a proven authority in leading web-based companies. A certified public accountant early in his career, Maudlin has a strong background in Web and ecommerce and is an experienced advisor and board member for companies across multiple industries. He currently serves as lead independent director, audit committee chair and member of the compensation committee on the board of directors for WEB.com and holds board positions with Alteryx, Frontline Technologies (Education) and DrillingInfo, among others. Maudlin is the former director of ExactTarget, MediaMind Technologies and Newegg, Inc., the second-largest online-only retailer in the nation, and the former managing partner at Medical Innovations Partners, a venture capital firm. His profound knowledge in advising companies will be a great asset as Pluralsight continues to innovate and bolster its operations.